Picture of Salo, Lake Garda, Italy - Salò, Lago di Garda, Italia. Salo is a town in the Province of Brescia in the region of Lombardy (northern Italy) on the banks of Lake Garda. Salo was founded in the Roman times as Pagus Salodium and in the Middle Ages became a stronghold of the Milanese Visconti family. From 1943 to 1945 Salò was the capital of Mussolini's Nazi-backed puppet state, the Italian Social Republic, also known as the Republic of Salò. 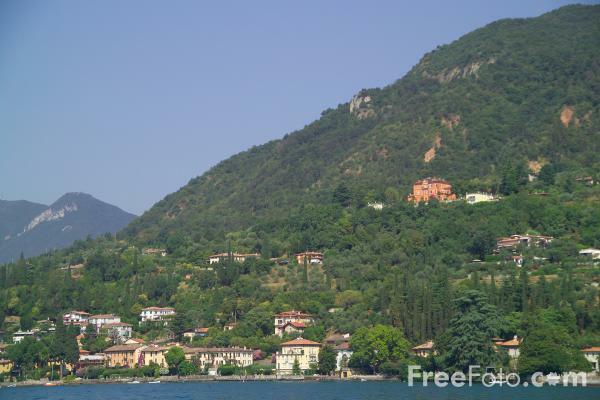 VIEW: More images from the category Salo, Lake Garda, Italy - Salò, Lago di Garda, Italia or around the same time .